SRG Sites > DigiFreq > News > Top 40 Beats Drum Loops from Drums On Demand - Get 10% off! Top 40 Beats Drum Loops from Drums On Demand - Get 10% off! 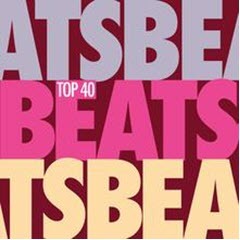 Drums On Demand has released the Top 40 Beats Acoustic Drum Loop Library. 700 acoustic drum loops inspired by Billboard’s recent Hot 100 charts, featuring grooves and a sound influenced by such artists as Bruno Mars, Maroon 5, John Legend, Adele and more. 20 BPM Song Sets perfect for songwriters and producers chasing that ever-elusive hit song. A variety of pop music styles — R&B, dance, funk, pop-rock and more. A broad range of tempos too: ballad, mid-tempo and upbeat. Played and produced by DOD co-founder Todd Sorensen, the drum kit features a bright and forward sound without being harsh, along with a crisp snare that has some body, as well as a deep but somewhat airy kick. Just drag and drop into your favorite DAW with our patented naming system to quickly create the drum track you've been dreaming of.